Follow these steps to avoid a scary incident involving smoke, fire or even explosions. This post was done in partnership with Wirecutter. When readers choose to buy Wirecutter's independently chosen editorial picks, Wirecutter and Engadget may earn affiliate commission. Read the full blog here. Although flying a drone might sound like the biggest risk in operating one, dealing with the batteries is potentially more explosive. At the 100 hospital emergency rooms that report electronics-related injury cases to the US Consumer Product Safety Commission, more than 200 incidents (PDF) involving drone batteries, stemming from fire, smoke, and explosions, were recorded between 2012 and 2017. 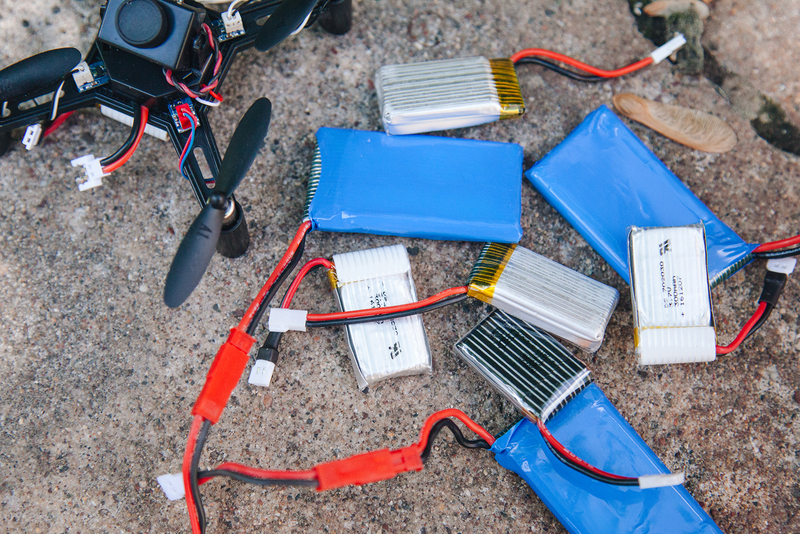 Not every drone-battery incident results in an injury, but each pilot and expert I interviewed had a story about an exploding or fiery lithium battery going off especially after it had repeatedly crashed to the ground inside a drone. "When the batteries go, it's like a little bomb," drone pilot and HubHobby employee Brandon Reinert said. "It's usually pretty spectacular." Charging is the most likely time for a drone battery to catch fire, so concentrate the bulk of your safety efforts there. According to the CPSC, more than half of the drone-battery incidents documented at hospital emergency rooms occurred while the drone was charging. Be particularly careful when charging batteries from a brand you're not familiar with. "I would just assume the cheaper ones are going to catch fire at some point," battery expert and Cadex Electronics product line manager Greg Funk said. "I wouldn't treat it like a cell phone and plug it in overnight and go upstairs to bed." 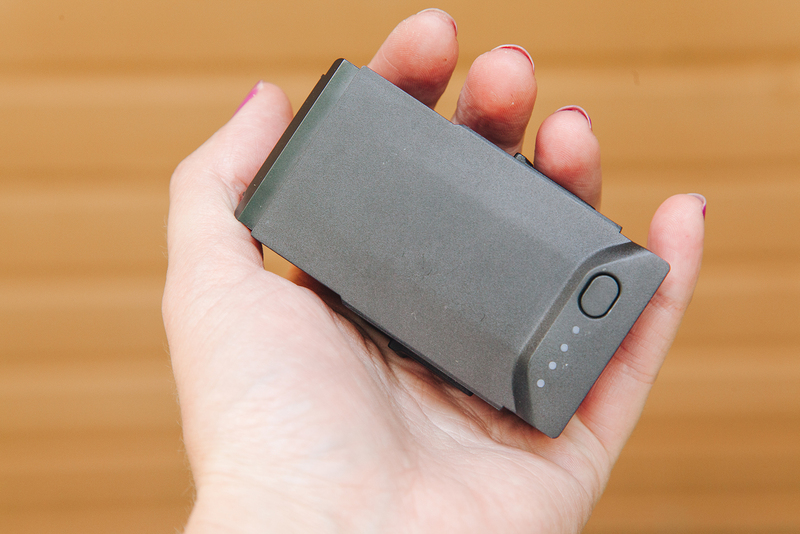 If you can, charge your batteries outdoors. 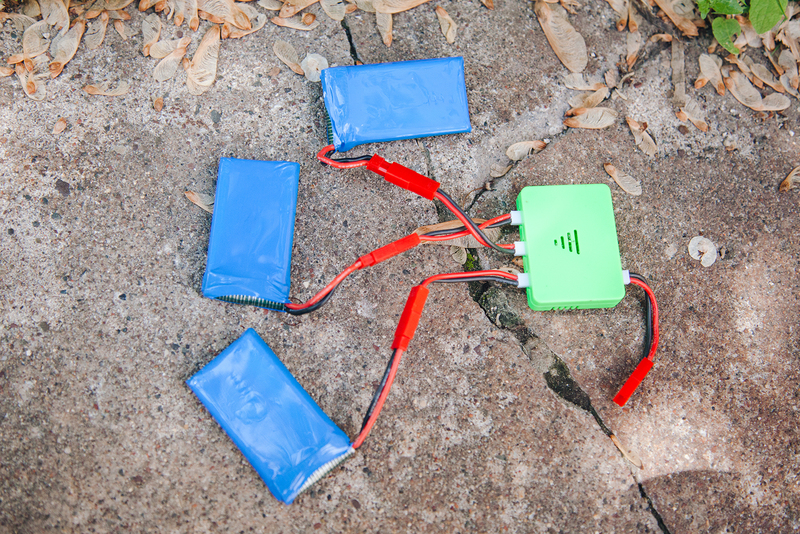 Instead, Funk suggested, the single safest way to charge a drone battery is to do it outdoors. That's the only place you can be sure it isn't near anything else that can catch fire. An exploding battery also gives off toxic gases, which can be dangerous in an enclosed space. Just be sure to keep the batteries out of the sun so they don't overheat, and away from dried-out plants or other combustibles. If you have to charge indoors, set up fire-containment measures just in case. Many pilots, like Brandon Reinert, choose to charge indoors and take fire-containment measures. If you can't charge outdoors, you can use any of a few different setups. Simon Cheng and Megan Proulx, who host the YouTube series Til Drones Do Us Part, charge batteries inside cinder blocks and keep a bucket of sand nearby to extinguish flames. The team behind FliteTest, another YouTube series on drones, suggests similar methods that use cinder blocks or an unsealed ammo can. If you must charge indoors and you choose one of these methods, make sure the setup isn't near anything else that can catch fire. Never seal a battery inside a fireproof container; all that energy needs to go somewhere, and sealing it off will just cause the container to explode. That's why good fire containment focuses on aiming flames and gases in a safe direction and then getting sand or water (yes, as Funk told us, you can extinguish a battery fire with water) on it as fast as possible. Drain batteries before storing them in a safe, temperate place. Store the batteries at or near room temperature in a location where you would spot a potential fire. If you have a healthy battery that isn't overheating and has no punctures or puffing, it should be safe to store, but spontaneous battery fires do happen. DJI, which sells well over half of all personal drones in use today, recommends that if you don't plan to use a drone for 10 days or more, discharge its battery to 40 to 65 percent of its capacity. A partial discharge reduces stress on the battery and helps give it the longest possible life, according to Cadex testing. Check your battery manufacturer's recommendations for discharging, which will prevent the battery from degrading. Keep batteries padded and secured in transit. As long as you monitor, charge, and store your batteries appropriately, they should be okay to transport without any extreme safety measures. Keep them secured in a place where they won't bump around too much. 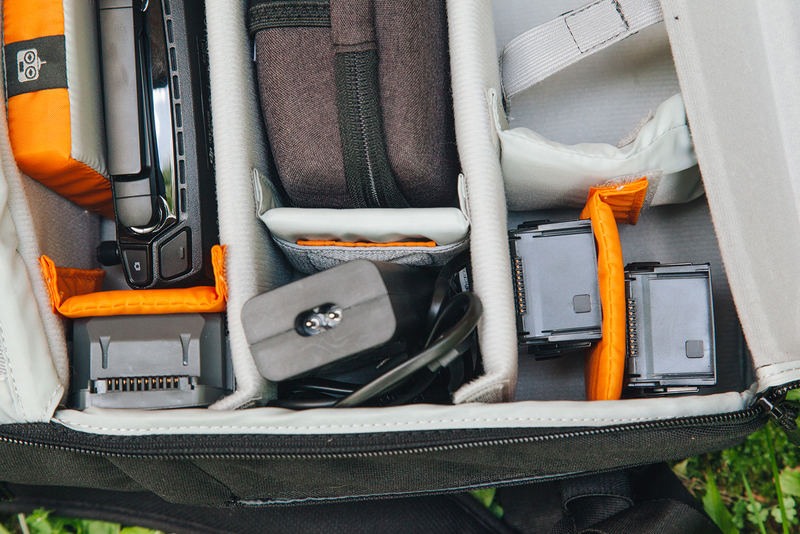 Our guide to the best drone accessories has the backpacks we like best for transporting drones and their batteries. 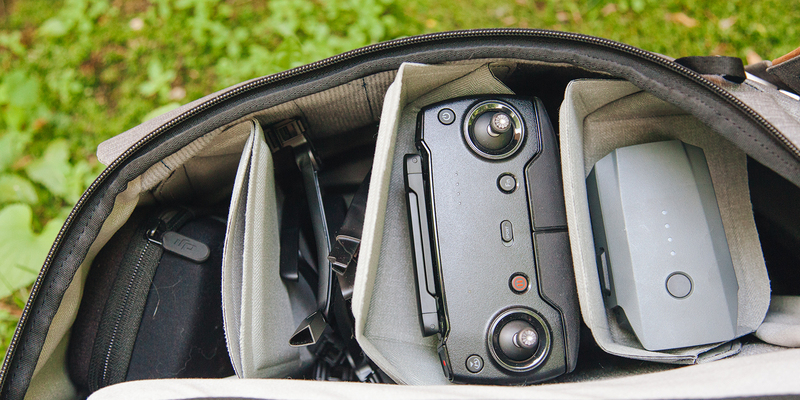 Pack your drone and its batteries in your carry-on baggage for a flight. If you plan to take a drone on an airplane, read up on the FAA's current rules (PDF) for batteries. Generally you can pack a lithium battery into a checked bag if it's installed in a drone, but you can't check spare batteries. Regardless, it's a good idea to keep a drone with you while you're traveling, to avoid losing it—so count on keeping your batteries in your carry-on luggage. Avoid flying in extreme temperatures. To give batteries the longest life possible, follow the manufacturer's instructions for flying, which should include a safe temperature range and a lowest acceptable discharge level. DJI, for example, recommends you fly drones in temperatures ranging from -10 °C to 40 °C (14 °F to 104 °F)—a range similar to that suggested by many other drone brands. Don't drain the battery too fast. Flying at full throttle for long periods—which can be preferable for some flying purposes, such as racing and agility—can also drain batteries so fast that they enter a dangerous process known as thermal runaway, where the materials inside the battery heat up and cause chemical reactions that prompt the battery to heat up even more. 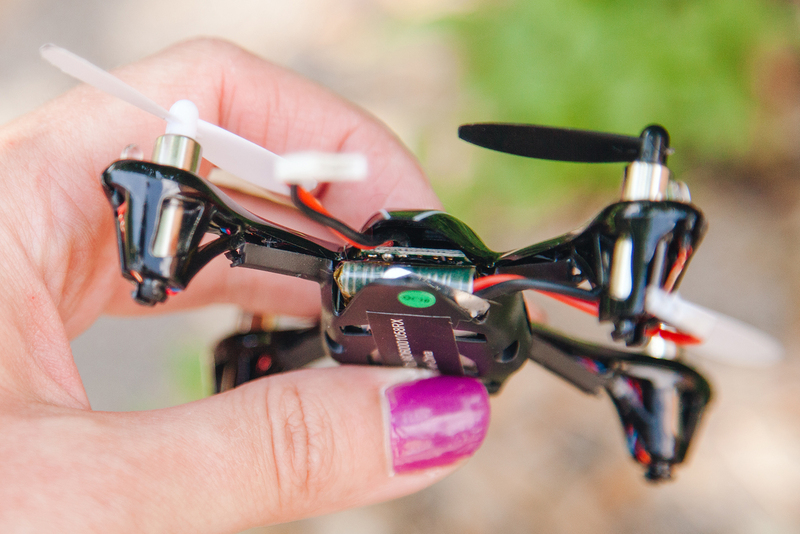 Before and after flying a drone or charging a battery, take a moment to inspect the battery. 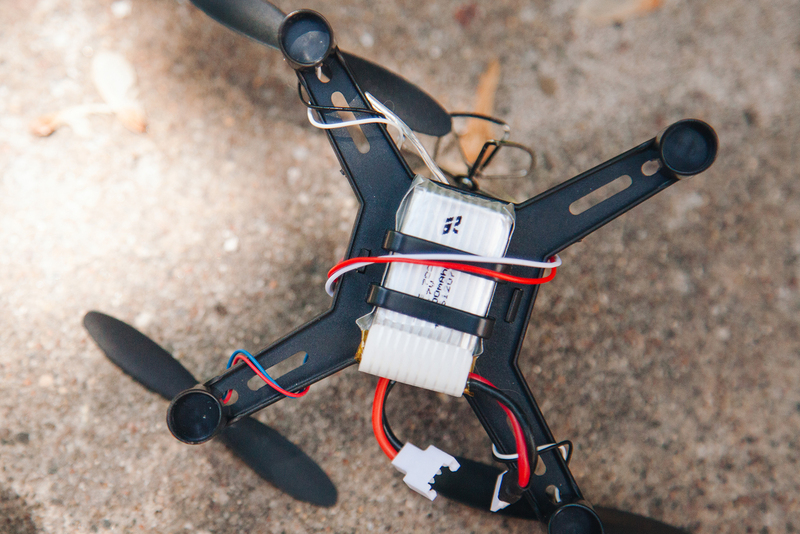 If your drone's battery has any visible damage or is puffing out, you need to dispose of it. However, not every battery will show physical signs of damage. The pilots behind FliteTest recommend using an analyzer like the HobbyKing HK-010 to see a readout of the state of each cell in the battery and catch problems before they become more serious. A battery is marked with a voltage—say, 3.7 V—which should be consistent across all of its cells. Over time they might begin to get out of balance, something that some chargers can correct for to some extent. Cadex's Greg Funk recommended retiring any batteries in which the cells are out of balance by more than 0.1 V (100 mV), because it's a sign that some cells are weaker than others. "These packs are prime candidates for overheating and possible fire as the individual cells can be taken outside their safe operating range during charge and discharge," Funk said. Research your options for battery disposal. Look at a site such as Recycle Nation or your county's website to find a drop-off center that accepts household hazardous waste. Check whether the collection center accepts batteries and then give the folks there a call to confirm that they will take a damaged battery—not all places will. Before turning the damaged battery in, be sure to discharge it as close to 0 percent as possible to decrease the chance of fire. Although the steps we've outlined can help you avoid disaster, you can save yourself a lot of trouble by choosing the right batteries in the first place. On the Internet you can often find batteries and chargers for sale with little known about who makes them and who sells them, and some of these sketchy options carry an increased risk of fire. Batteries with lower-quality materials or corner-cutting designs are more likely to catch fire when crashed or when charged and discharged at high speed, as is common with drone batteries. Look for safety certification and features. As tempting as it is to buy the cheapest batteries possible, Cadex's Greg Funk told us he recommended looking for batteries that are IEC 62133 (or equivalent) and UN38.3 certified to verify they are safe to use. Not every battery listing says whether it has the certifications, and sometimes you have to go digging through a manufacturer's website to find the certifications. Opt for a programmable battery charger. Just as it's important to choose the right batteries, take care to choose the right charger. 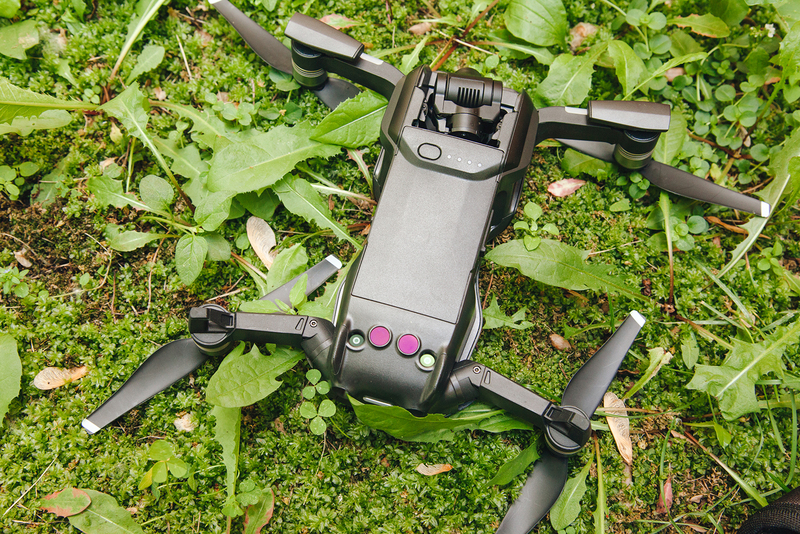 As drone pilot Oscar Liang writes, a programmable charger is worth the extra cost because it will allow you to perform more battery-management tasks, such as checking that the battery is charging and discharging as designed, and discharging it completely before storing it. Greg Funk also recommended using chargers made by the same manufacturer as the battery. DJI drones are designed to work with the company's own "Intelligent Batteries." These batteries are more expensive than batteries for more basic drones, and because there are no authorized third-party batteries for DJI models, it can feel like the company is trapping you into buying its fancy batteries. But its batteries do have some built-in safety features and functions that provide extra protection compared with more basic batteries in less expensive drones or, in some cases, unlicensed replacements. According to engineers on the battery team at DJI, the company's batteries include measures such as the ability to prevent overcharge or over-discharge and the ability to monitor the battery's remaining capacity. Still, DJI batteries will degrade if you treat them poorly. Refer to DJI's battery care instructions and follow the same care guidelines you would for other drone batteries. This blog may have been updated by Wirecutter. To see the current content, please go here.